The 5th house rules your hobbies, romantic interests, children, and creative pursuits. What you find most fun and how you have fun can be found by the sign on the cusp and planets within the house. 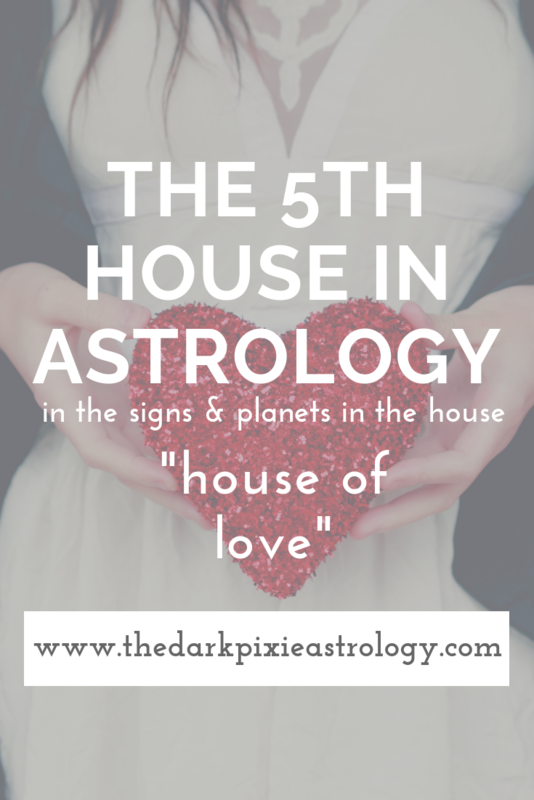 The kind of romantic you are, how you want to be courted, and the people you date and fall in love with are also ruled by the 5th house. Children are ruled by this house, the personality types and your approaches towards them. What you're most creative with. what you feel best at creating, falls here as well. Generally, people with planets here (except Saturn) are highly creative people. The 5th house is ruled by Leo and the Sun and is a succedent house. With transit Mercury in your 5th house, you’re much more creative than usual. You can do excellent work on creative projects, but have a hard time focusing on real work. You just want to play. You’re more sociable and friendly, have a good sense of humor, and have a plan for a good time. If single, you could meet someone through the internet, a neighbor, a sibling, or in your community, and they could be younger than you or have a youthful personality. If you have children, this is a good time to sit down and talk with them about their thoughts and feelings. You could pick up a new hobby, or set aside time for one you haven’t had time for lately. When transit Mars is in your 5th house, you’re driven to express yourself. Your creativity surges, and you can take a creative approach to matters and projects. This is a good time to pursue a creative endeavor. You have more energy for fun instead of work, and have a hard time focusing on your duties and responsibilities. Try to take as much time off as you can or give yourself plenty of spare time to do whatever pleases you. Your inner child can come out a little, and you can pick up a new hobby. This is also a good time for love and romance, and you have more energy for both of those things. You’re more flirty, and if single, could have the chance to date many people or meet new suitors. If attached, you can reignite the flame and inject more passion into the relationship.